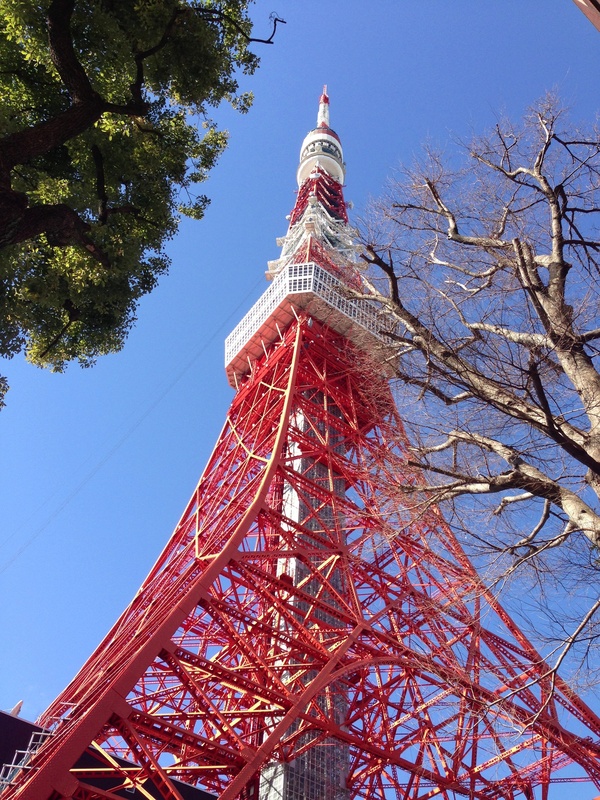 It is a one mile walk from our apartment, and the entrance is located across the street from the Tokyo Medical & Surgical Clinic which features English-speaking staff, including doctors and an on-site pharmacy. This entry was posted in general, julie, meg on February 27, 2013 by jules453. Tokyu Hands is a popular store chain, kinda like Target meets Ace Hardware meets Michaels. As is often the case in Tokyo, the store is far more vertical than horizontal; and, they use this in an interesting way. 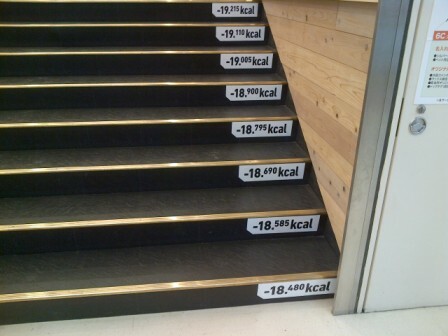 They put their cafe on the top floor and then labeled each of the steps with the number of calories burned off on the way up. It’s just little depressing that 7 floors is only worth 20 calories. This entry was posted in mike, shopping on February 26, 2013 by jules453. 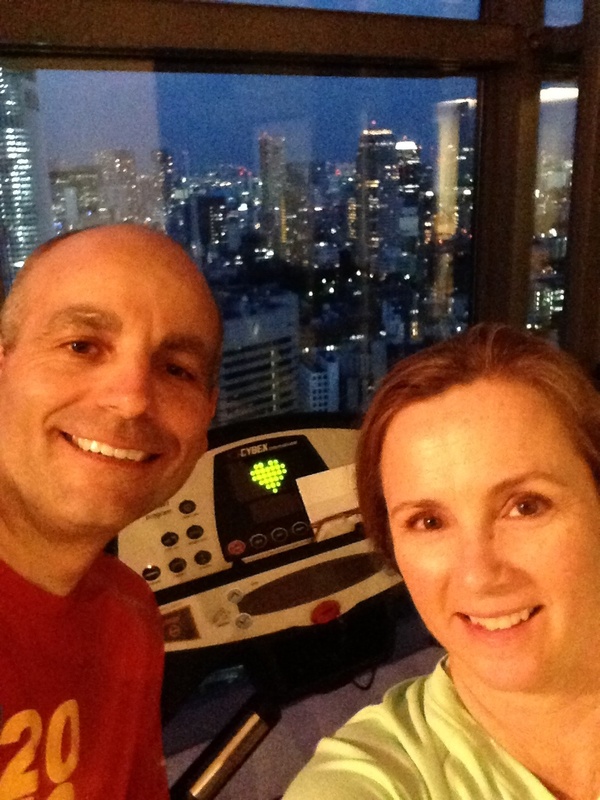 On the 29th floor of our apartment is a rooftop garden, community lounge and fitness room. It has a few treadmills, stationary bikes and eliptical machines and a small strength training circuit/machine. This entry was posted in general, julie on February 24, 2013 by jules453. 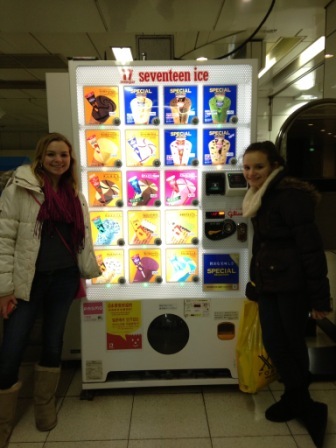 This vending machine is special. 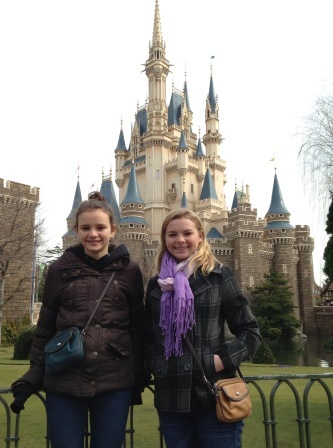 They are in Fantasyland at Tokyo Disneyland. They only hold 6 drinks each. But when you purchase one a little bit of steam comes out of the spout. It is so cool! 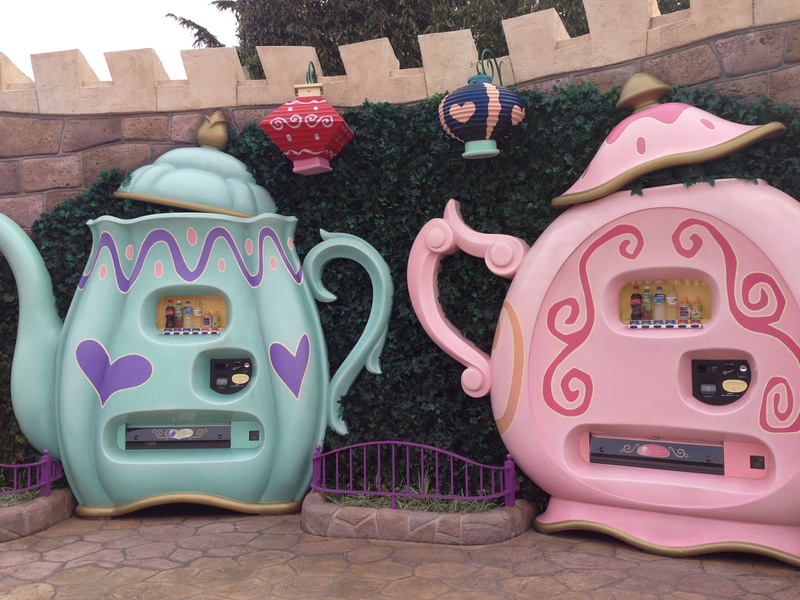 They are outside of the Queen of Hearts restaurant. This entry was posted in meg on February 23, 2013 by jules453. This entry was posted in general, julie on February 22, 2013 by jules453. 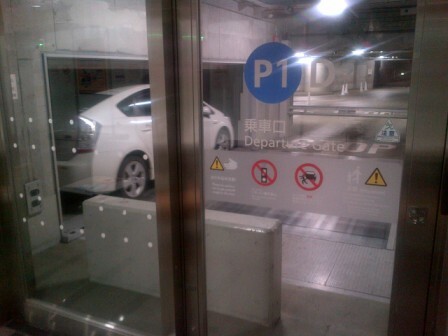 Another unique automobile related experience in Japan is ‘mechanical parking’. These are mystical parking machines located at many large buildings, malls, etc. where space is a premium. So, here’s what you do… You pull your car into a big glass-ended box and stop when the indicator lights tell you to (this part is somewhat similar to gas station car washes). Then, you shut off the car, fold in the mirrors, grab your stuff, close up the car, and get out of the box. Once outside the box, a side panel inside the box opens up, your car slides sideways, and disappears. You are then given a little ticket, which indicates the time and a code (which presumably indiactes where the machine is going to sort/index your car). When you come back to get it, there are machines that resemble ATMs. You slide your ticket in, pay the applicable parking fee, and get your receipt. Then you head to the waiting lounge area. There, you watch the video monitors which display indicator numbers for the cars that the machine has queued up for retrieval and an estimated delivery time. Eventually (and surprisingly quickly), that side panel in the box opens up and slides your car back out. It then unlocks the door leading into the box and you are on your way! This entry was posted in mike, transportation on February 20, 2013 by jules453. The vending machines here are amazing and they have tons with drinks inside but this is the first one I have seen with ice cream! The ice cream comes out cold like it just came out of the freezer and it also didn’t taste old, we all got an ice cream and we all agreed that they tasted good! I can’t wait to see what else is hiding in the vending machines here! This entry was posted in food, meg on February 19, 2013 by jules453.